Peel’s archives at PAMA holds historical public school records dating from 1833 to 1986 for Peel County and Peel Region. 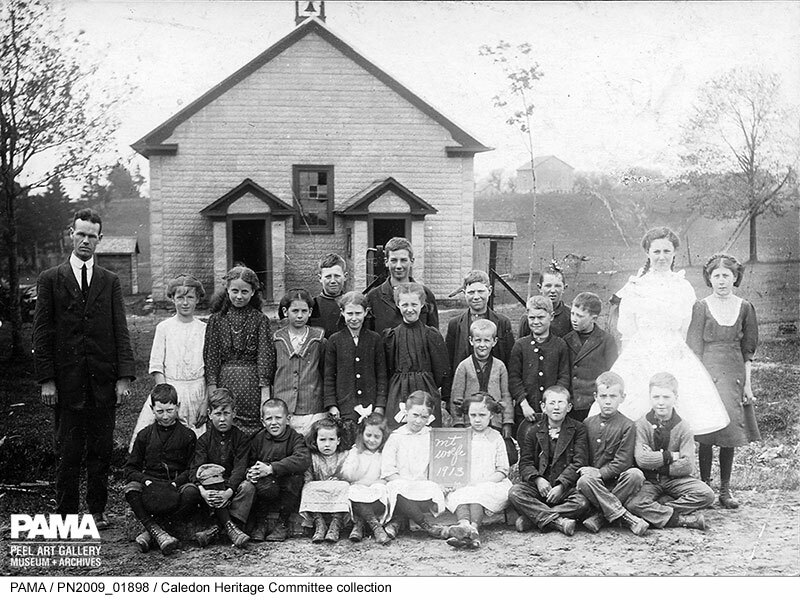 Many of these schools began as one room schoolhouses built by the early settlers of this area of Southern Ontario. Most of these school records are daily and yearly attendance registers that list student, teacher, and parent names as well as the days students made it to school – and if not, why! Like churches and social clubs, schools were places where geographically scattered people from different social classes came together. 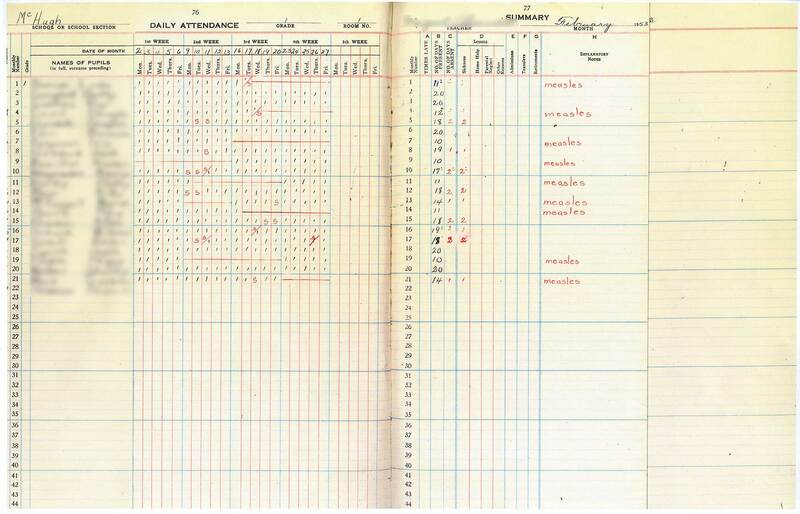 Each school had a life of its own; we can get firsthand glimpses of this daily life through the school log books, minutes, programs for ceremonies, library book and equipment lists, and teacher contracts. But with archival material there’s always more than meets the eye. We can also learn far-reaching information about this area of Ontario by looking at changing patterns documented in these records. Thanks to archival records the past meets the present and affects the future. If you’d like to examine early school records, it’s best if you know the School Section (SS) number of that school. With a few exceptions, these records don’t contain report cards or academic results; if you’d like to access to your own academic history you’ll need to see your Ontario Student Record available through the last school you attended or your school board. Our early school records are not complete because record keeping practices were not always as rigorous as they are now; some records ended up in people’s homes or were lost to disasters. These gaps in our records show us how important it is for archivists to be involved in managing records. This is the first in a series of posts where we reveal just how much information is packed into the most significant groups of our archival records – and what would be lost if we didn’t have them.